Obituary for William Jay Koetje | Langeland Family Funeral Homes, Inc. Passed away Friday evening, February 1, 2019 in Chattanooga, TN. Bill was born December 18, 1921 in Kalamazoo the son of the late Henry and Ella (Lutke) Koetje. 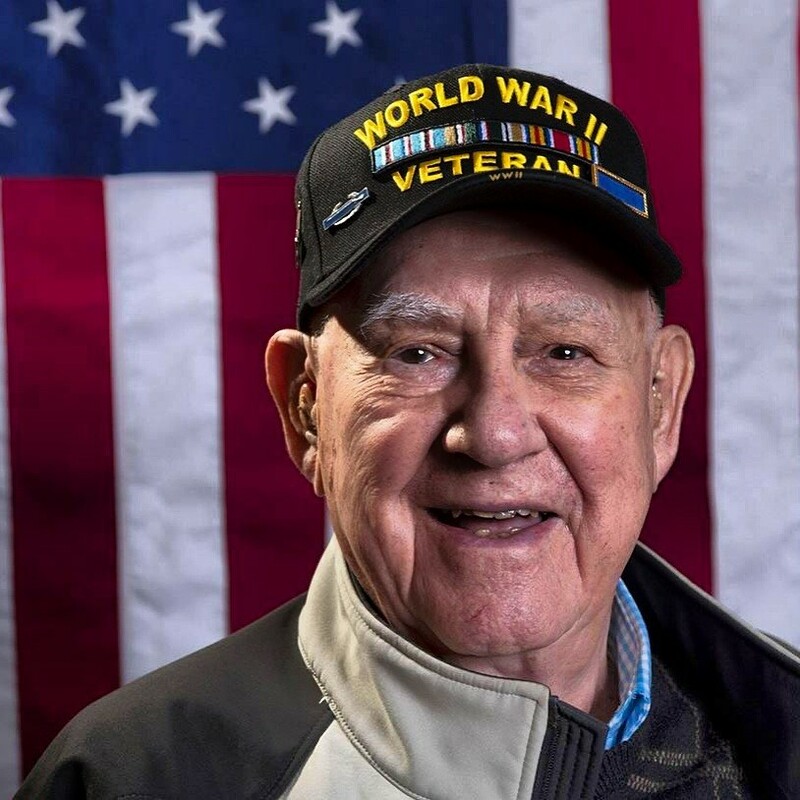 He was a proud veteran, serving in the U.S. Army's 100th Infantry Division during World War II where he was a Bronze Star Recipient, amongst various other honorable decorations. Prior to his retirement in 1983, Bill worked for over 30 years with All Phase Electric in the sales department. He was a charter member of Milwood Christian Reformed Church where he taught Sunday School and was a leader for the Boys Club. On February 14, 1947 he was united in marriage to his loving wife, Delores (Doorn) who preceded him in death on January 31, 2009. He was also preceded in death by a brother, Fabrian Koetje; and a sister, Mary Jane Stob. Bill is survived by his children, Ronald (Dorothy) Koetje, Mary (Keith) Sipsma; 4 grandchildren, Wendy (Jason) Becker, Jamie (Heather) Sipsma, Todd (Ashley) Koetje, Sarah (Steve) Bauserman; 10 great-grandchildren; sisters, Eleanor (Duane) Peekstok, Carolyn (Stanley) VanDenBerg; several nieces and nephews; Godson, Don (Pat) Koning, God-granddaughter, Brooke (Ike) LaRoy; and many other dear friends including special friend and caregiver, Laura Balkema. Friends may meet the family from 2-5pm Sunday, February 17 at the Langeland Family Funeral Homes, Westside Chapel, 3926 South 9th Street. Services will be held at 10:00am Monday, February 18 at the Milwood Community Church (formerly Milwood CRC) 3306 Lovers Lane. Private interment will be in Ft. Custer National Cemetery. In lieu of flowers, memorials may be directed to the Talons Out Honor Flight (www.talonsouthonorflight.org), Hospice of Chattanooga (www.hospiceofchattanooga.org), or Your Grateful Nation(www.yourgratefulnation.org). To view Bill's personalized guestbook please visit www.langelands.com.